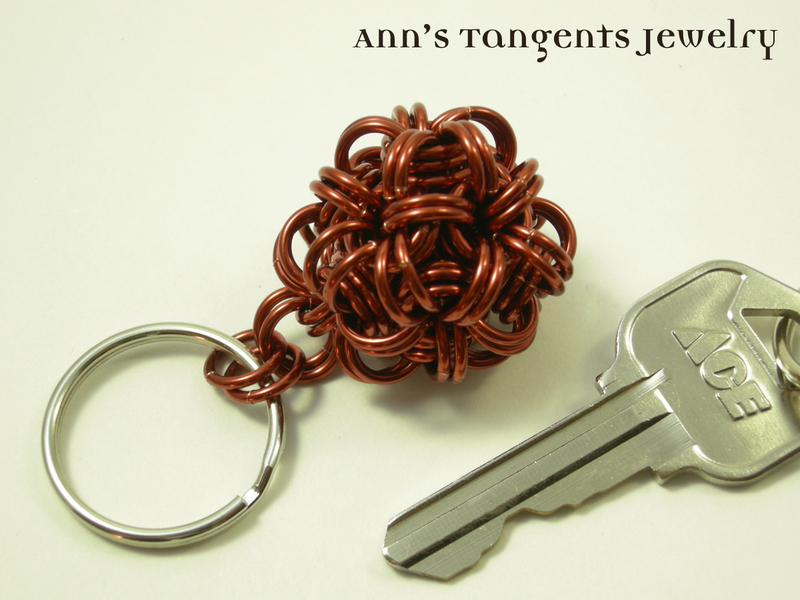 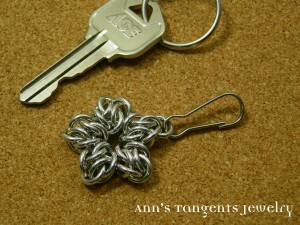 Dress up your keychain with a bit of chain maille. 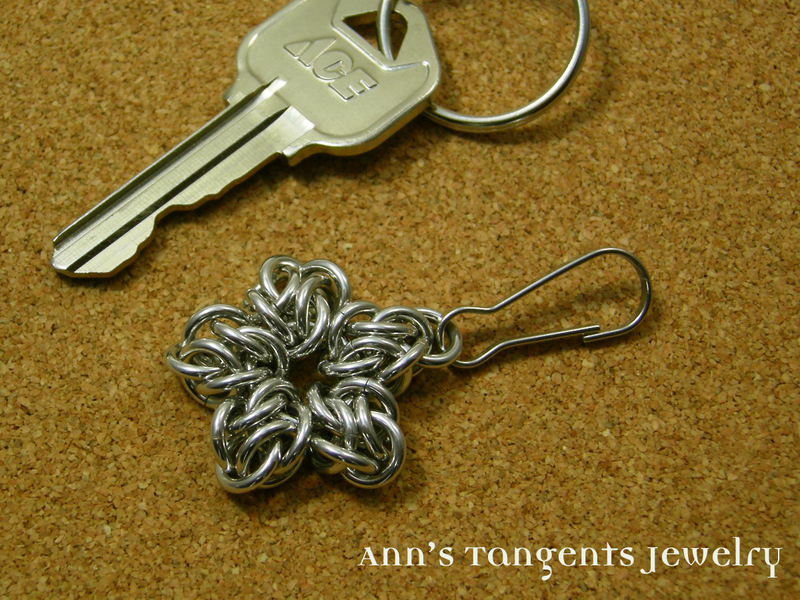 The silvery ones are ultra-light aluminum, so even a “bulky” style won’t make holes in your pocket. 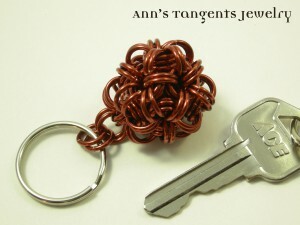 Check out the store to pick up your very own!